Perhaps it’s a stereotype, but, truth be told, Morocco is a fairly arid country. 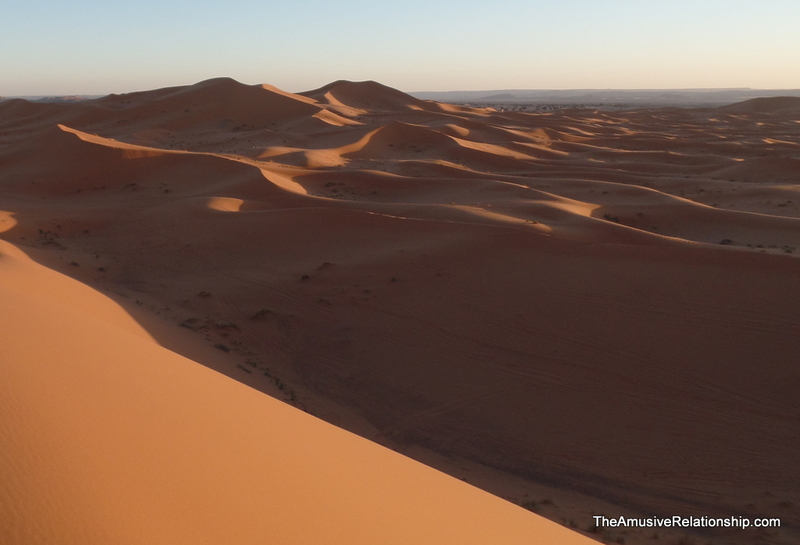 Much of its southern area borders on or is part of the vast Saharan Desert. 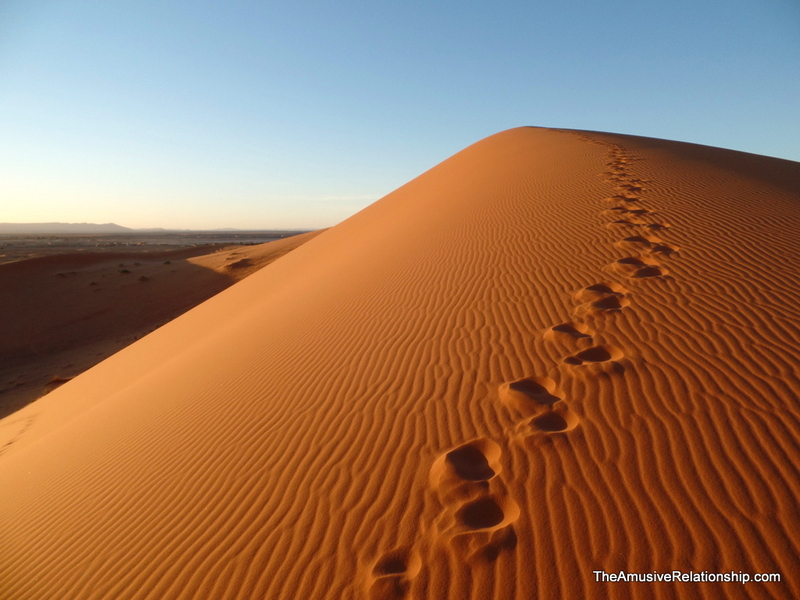 In fact, once one crosses the Atlas Mountains, it predominately desert with a numerous oases scattered about. Initially, the dryness and the heat were challenging, but I’ve come to accept them, even welcome them on occasion. To that end, my friends Noa, Anja, and I went south to dunes of Merzouga for a camel trek. Mother camel with baby at the watering hole. I’ve been on the road to Erfoud many times, but never have I seen as many camels as I did the day we drove down. They were everywhere. They were wandering around the side of the road, even in the middle of the road, without any tenders in sight. Near Jorf, a fascinating place in its own right, we came across a local camel herder watering his herd at a local well. We stopped, transfixed, and were invited closer to touch and take pictures. One of the females had a young one in tow which desperately wanted to nurse, but was rebuffed again and again. We’d also stopped on the way to visit some of the qanats, underground water canals, near Jorf, and had hopes to see the giant desert sculptures by German artist, Hannsjörg Voth, but in discussions with the locals, due to desert conditions and unmaintained roads, we would need a 4×4 to access them. Or, camels. So, I’ll tackle that one on another trip.. The trip was arranged through a local man in Erfoud who other Peace Corps volunteers had used in the past. We met at his house and were treated to a homemade couscous meas. 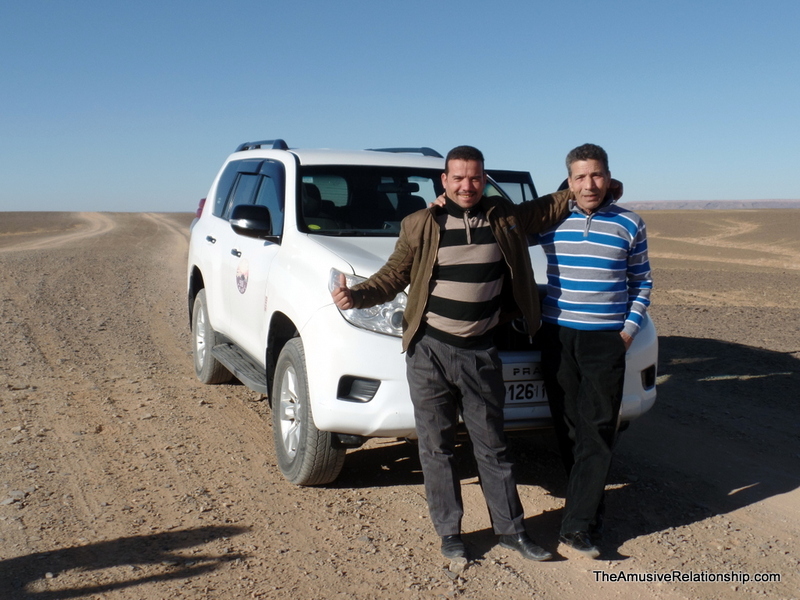 We were put into a new Toyota 4×4—which I mention only because of the rarity of these type of vehicles outside of the desert areas—and headed south toward Merzouga. 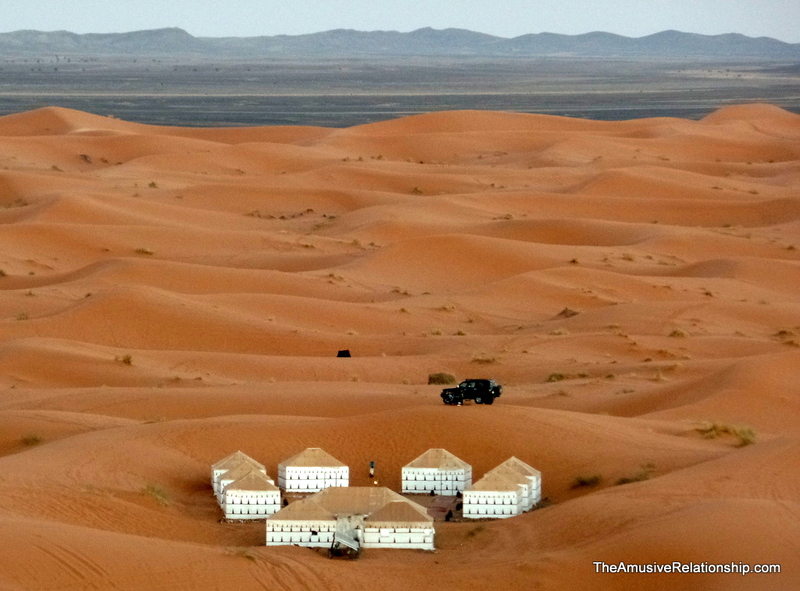 As part of the package we’d selected, most of the trip was off-road in order to have better views of the dunes and the surrounding areas, including a drive-by of the hotel at which Hillary and Chelsea Clinton stayed when they were in town several years ago. After about an hour and a half driving through the barren desert, though not yet the dunes, we arrived at the spot at which our camel trek would begin. I was a bit nervous to board my camel, but before I knew it, it was standing. For those unfamiliar, a camel typically stands from a resting position by first extending its rear legs, thrusting the rider forward like a bucking bronco, then extends its front legs, throwing the rider back like popping a wheelie on a motorcycle. If not prepared, one could easily be thrown. They have gentle, contented faces with long eyelashes that lend an air of elegance, but also serve to keep out the sand. Though I would call it a ‘trek,’ per se, since we only traveled about one and a half kilometers into the desert via camels, it was not without its challenges. Riding a camel is much different than riding a horse. The hump makes it somewhat challenging to find a proper center of gravity, so one often feels either too far forward, or too far back. Camels themselves are slow, patient animals. I had no idea how slow they were. After our hour-long ride, I had a much better appreciation of the time it took and the challenges faced by desert traders and travelers of the past. The dunes were beautiful and quiet. At moments, they reminded me of a first snowfall when all is hushed and blanketed with purifying snow. The only sounds were our occasional conversation and Anja’s flatulent camel who, apparently, had eaten quite a bit in preparation for our journey. With her and her camel directly in front of me, the journey became long periods of silent beauty punctuated by hilariously loud and long camel farts. We stopped part way in to watch the gorgeous sunset and to give our haunches a rest. On several of the distant dunes were other such group as ours watching and waiting. Our campsite was tucked into a small valley between some dunes. Noa and Anja had chosen one of the more comfortable options (I was just tagging along), so our accommodations were lovely. Though the camp could house around 30 people, we were the only ones there. Still, they made us a great fire to sit around and offered a variety of delicious olives for snacking while we shared a bottle of wine. 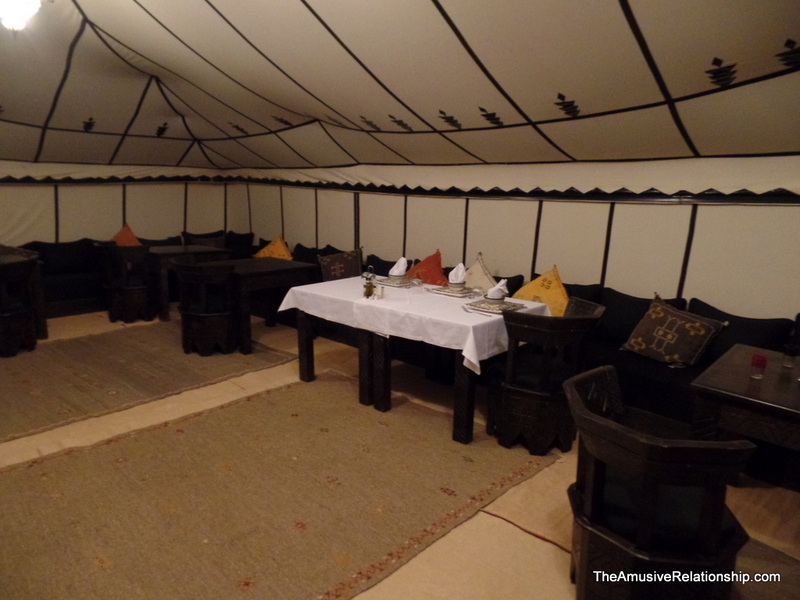 Dinner was a sumptuous, multi-course affair of traditional Moroccan dishes that left us each stuffed to the gills. Three people were working while we were there and each of them were kind and generous. Saida did the cooking, Omar led our camels, and Ibrahim acted as host and server. 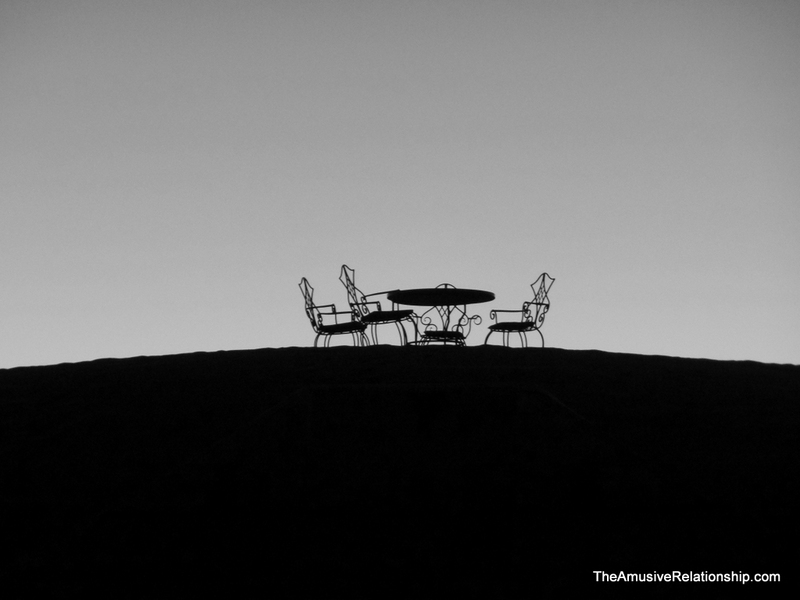 We were to wake early, about 7:00am, to eat breakfast, then ride out at sunrise, but I awoke earlier and went to sit at the table and chairs setup atop a nearby dune. Ibrahim woke soon after and brought up some tea. It was quite cold, so the tea was wonderful. Gradually, in the distance, I saw other groups begin to depart their respective camps. Soon after Noa and Anja left their tent and we went in for another large delicious meal. The trek out was similar, but somehow even quieter. Perhaps it was just the mood of relaxation that kept us to ourselves. We’d each slept well below several inches of thick blankets. I, for one, was utterly contented. The drive back was similar, though we stopped by the shop of a local fossil hunter. He had hundreds of examples both laying about his store and some still in the rock surrounding his home. Like I said before, I hesitate to call it a ‘trek,” since it was woefully short of what historically people would have traveled, but I am also fully aware that I would not have made it much further. Camels are wonderful. The desert is tranquil. Friends are wonderful. And, Morocco is miraculous.